Sipadan is a diving gem located in the Coral Triangle, off the coast of Borneo in Malaysia. To protect the pristine marine environment, diving here is highly regulated and a limited number of permits are given. A Sipadan liveaboard is the best way to ensure you get as much bottom time as possible. 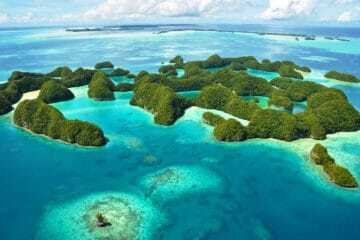 Malaysia’s only oceanic island was formed by layer upon layer of coral that accumulated on an extinct volcano. It’s now a diving mecca, featuring a sheer coral wall teeming with reef fish that plunges 2,000 ft (600 m) down into the ocean floor below. Whether you’re a pelagic lover or a macro aficionado, you will fall in love with the diving here. There are a lot of factors to consider when planning your Sipadan liveaboard trip. Here at The Adventure Junkies, we’ve put together a few considerations to help you decide which itinerary is right for you. 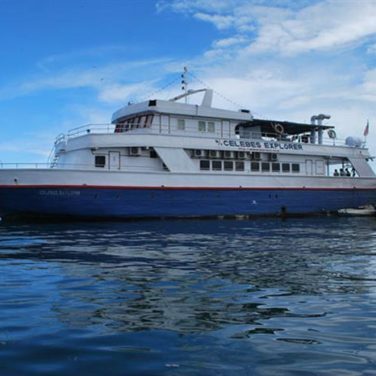 The MV Celebes Explorer is the original Sipadan liveaboard and the only one to guarantee year-round diving at Sipadan, with permits for diving six days a week. 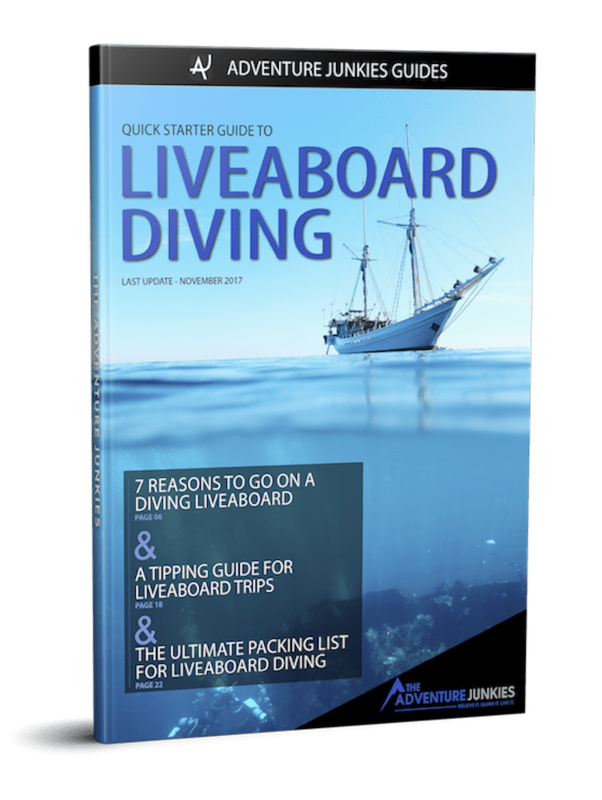 This makes it the perfect option for die-hard divers who want to log lots of underwater time. The liveaboard itself is fairly basic. However, the crew is outstanding and will make sure your dive trip is one to remember. Divers can indulge in a massage between dives or simply kick back and relax in the lounge or on the shaded sundeck. 8 double air-conditioned cabins all come with en-suite bathrooms. Meals are served buffet-style and feature a mix of Malay and Chinese cuisine. Wifi, nitrox and rental gear are available for a fee. On-board courses include Advanced Open Water and nitrox certification. 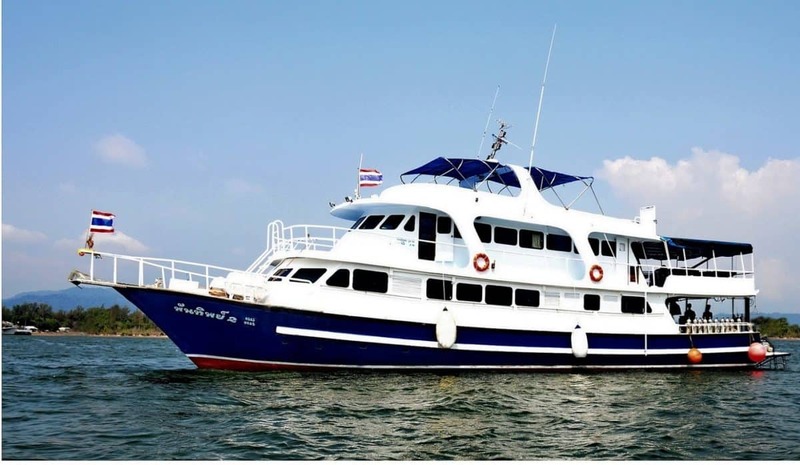 This recently renovated yacht is modern and inviting, with 9 cabins that can accommodate up to 23 guests. 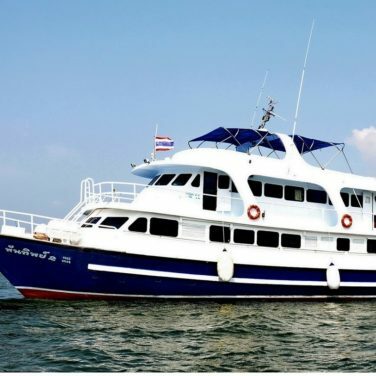 Primarily focused for the moment on the nearby Similan Islands, the MV Andaman Tritan plans to start trips to Sipadan in the near future, so keep an eye out! 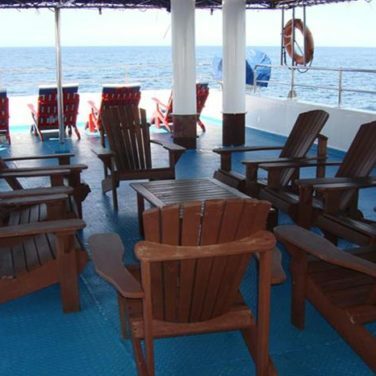 An air-conditioned salon and cushy lounge chairs on the MV Andaman Tritan’s sun deck invite divers to relax between dives. Alternately, work the kinks out with a soothing massage. The air-conditioned cabins are simple but elegant, with Eastern-inspired accents. Daily housekeeping is provided. Buffet-style meals are served three times a day, with snacks available in between and soft drinks and alcohol for purchase. 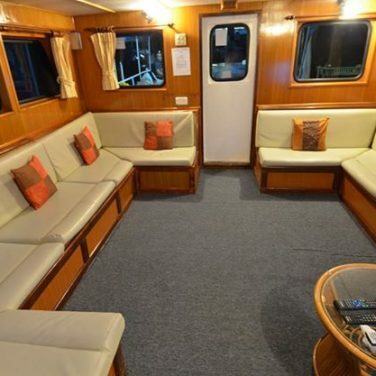 The MV Andaman Tritan boasts a roomy dive deck, with plenty of space for camera and other gear. Nitrox and rental equipment available for a surcharge. 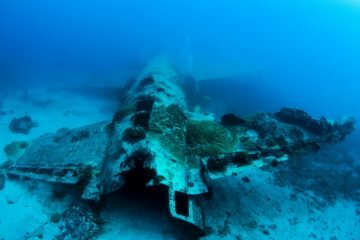 Non-divers and snorkelers are warmly welcomed onboard. Jacques Cousteau raved about the healthy marine environment he found at Sipadan while filming the Ghost of the Sea Turtle. The volcanic island is home to 600 species of coral and 1200 species of fish, many of which are endemic. Divers here will see everything from nesting green and hawksbill turtles to barracuda “tornadoes.” Fortunate divers might even see a whale shark or two. Many marine species can be seen all year long at Sipadan, including white-tip sharks, eagle rays and moray eels. Lucky divers who go to certain dive sites early in the morning can see huge groups of bumphead parrotfish. The island is also a great place to glimpse angelfish, gobies, seahorses and other macro life. The underwater landscapes are stunning in their own right, with coral gardens and dizzying drop-offs. And, of course, you’ll be surrounded by schools of tropical fish in all shapes, sizes and colors. Divers interested in protecting this beautiful marine environment can check out voluntourism opportunities at Sipadan. Liveaboards operate all year at Sipadan, but generally the best time for diving is between April and December. Whenever you go, try to book far in advance as spots are very limited. During April and May divers will spot leopard sharks at Sipadan, while June to September is turtle nesting season. December is the best month to visit if you’re interested in diving with hammerhead sharks. From April through September you can expect calm waters and warm, dry weather. September brings light showers, while the real rainy season starts in December. However, even in the rainy season, showers are unpredictable and you might have clear skies. Staying at Sipadan overnight is prohibited, so a liveaboard is by far the best way to dive the island. 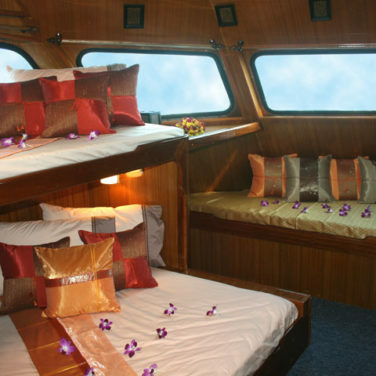 Liveaboard trips to Sipadan usually last between 4-7 nights. A longer trip will facilitate access to the more remote sites and let you take full advantage of your diving holiday. If your budget or timeframe are limited, a short trip is still definitely worth it. Since only 120 diving permits are issued per day, land-based operators often have trouble securing them. 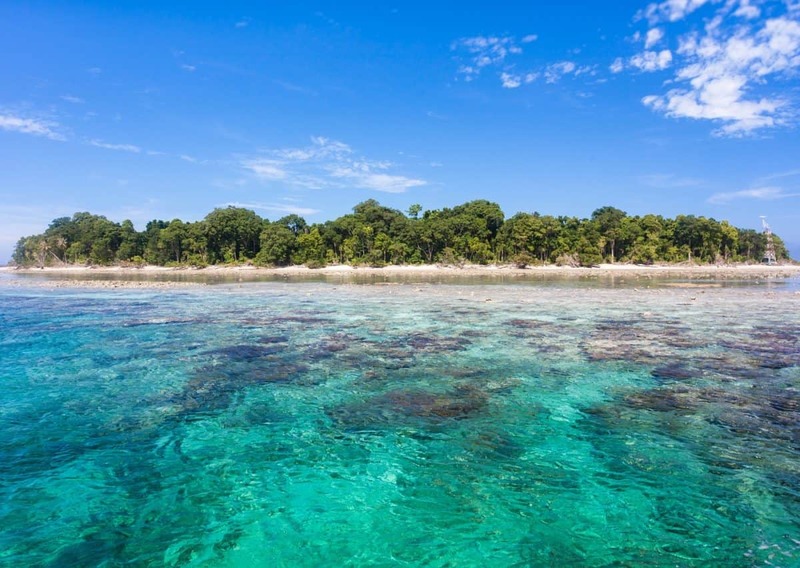 Even a 4-day liveaboard trip puts you ahead of the crowds for diving at this incredible island. You don’t need a minimum number of logged dives to book a liveaboard at Sipadan. Waters here are calm, and most sites are suitable for beginner and intermediate divers. 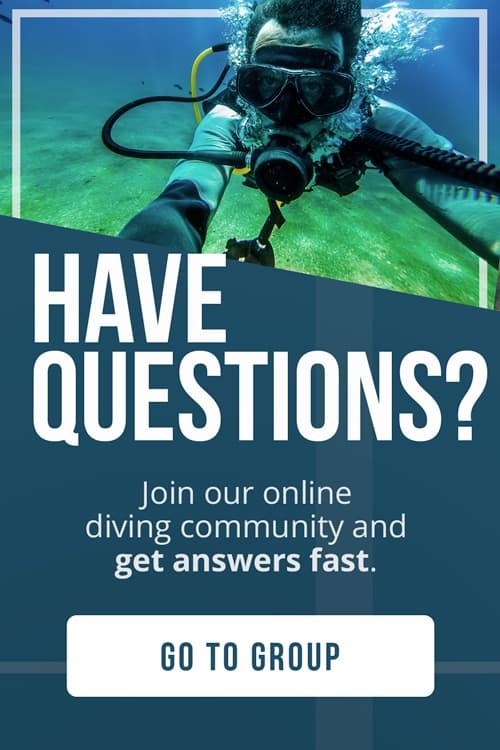 If you’re interested in furthering your diving certification, you can take an Advanced Open Water Diver course or get nitrox-certified during your trip. A Sipadan liveaboard is for divers who want to spend time in the island’s amazing dive sites. If you’re planning to dive here, you should be prepared to sacrifice some comfort. But don’t worry – the friendly crews and the chance to be one of few divers at Sipadan will more than make up for the rudimentary amenities on your liveaboard. 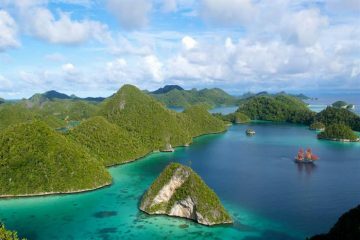 So far, only two liveaboards offer trips to Sipadan. 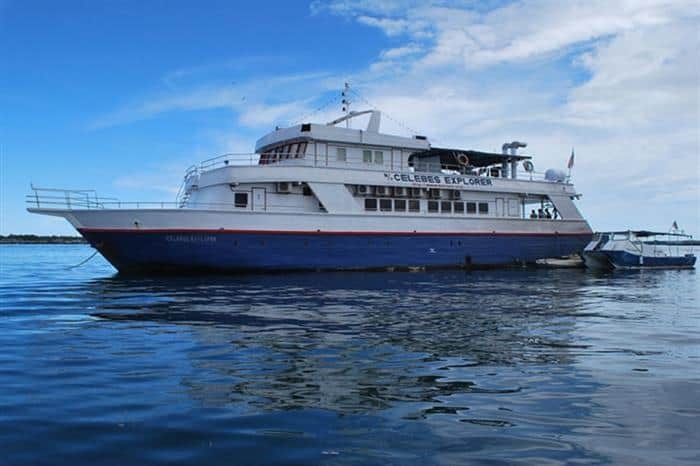 The MV Andaman Tritan was recently renovated and boasts a higher level of comfort than the MV Celebes Explorer. 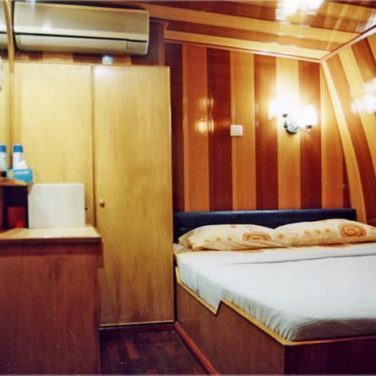 On the other hand, the MV Celebes Explorer offers more privacy, with en-suite bathrooms in every cabin. Since the two boats are comparable in terms of price, it depends what matters more to you. Either way, you won’t be browsing the web or soaking in any jacuzzis on your Sipadan liveaboard. This is a chance to unplug and enjoy the sunset island views!